"Nancy was always so very helpful when we had printing..."
"Nancy Abel Nancy was a bright spirit - her wonderful smile..."
"I knew Nancy for many years as the Queen of Production..."
Nancy Lee Abel, 79, passed away on July 11, 2017 at her home in Ridgefield, WA. She was born June 29, 1938 in Corvallis, OR to Ernest and Iris Headrick. Nancy graduated from high school in Corvallis in 1956 and moved to the Vancouver, WA area in 1960. Nancy worked for 10 years with Henry Greybrook, a Vancouver architect. 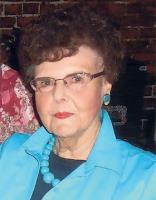 Later, she spent several years with Union Pacific Railroad Company as Chief Clerk. Her most rewarding employment was at Clark Community College where she served in many capacities over her last 30 years. She was in charge of the Production Printing Dept. at the time of her death. Nancy particularly enjoyed serving on the Clark College 75th Anniversary Committee. When Nancy wasn't working with friends at Clark College, she enjoyed planning trips to the beach and special outings with her grandchildren. They all loved and will miss their Grandma Nancy very much. Nancy is survived by 3 sons: Stephen Hadley (Tammy deceased), Scott Hadley (Debbie), Lindell Abel (Erin); grandchildren: Crystal Vires (Brian), Kyle Hadley, Jade Hadley, Haley and Kelan Abel; and great-grandchildren: Brian Austin and Ella Vires. The family invites Nancy's friends to join them for a Celebration of Life at Fort Vancouver Regional Library, 901 "C" St., Vancouver, Mon., Aug. 14th for refreshments at 3:00 p.m. and sharing memories from 4:00-5:00 p.m.